Susan Mershon and Techie Mentor Labs announce new class schedules for small business owners and virtual assistants. Classes will include: Wordpress Basics, Wordpress Advanced, 1ShoppingCart Training. If you want to make more money in your small business, technical skills are a MUST! WordPress Basic Training - Wordpress is the most popular blogging system in use on the Web and powers over 60 million websites. Mershon notes that 95% of any VA’s clients or potential clients will have a WordPress website. In the Wordpress Basic training, participants will master the basics: how to select the right theme, which plugins to add and how to export pages or posts. Merson’s Wordpress Advanced training teaches clients to work with page templates, set a custom background or header image for your website, embed audio and video, work with the theme editor, troubleshoot common issues and much more. 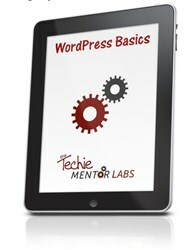 This hands-on training course provides a simple step by step non-techie approach to Wordpress websites. 1Shopping Cart is a popular shopping cart and email marketing tool used by small business owners. The 1ShoppingCart Training covers setup and branding within the 1ShoppingCart software (payment gateway & shopping carts), importing, adding and managing contacts, creation of email auto-responders, custom templates for email broadcasts, the setup and management of products, forms and much more. Visit The Techie Mentor for more information. Susan Mershon, The Techie Mentor, runs Clever Collaborations, a virtual assistant practice, and heads up The Techie Mentor & Techie Mentor Labs, Technology & VA Coaching and Training businesses. Find more information, download free recordings and register for these free webinars at http://techiementorlabs.com/.